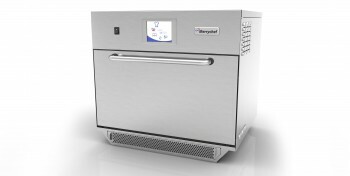 Known for being one of the first commercial food equipment manufacturers to use microwave technology, Merrychef offers both sophisticated touch control ovens and speedy combination models. Its microwave ovens are perfect for catering applications in restaurants and cafes, while its combination models are built to offer menu flexibility, speed and big power. 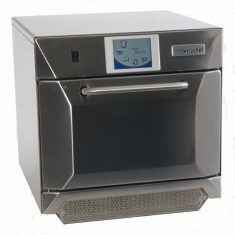 Whether you need something small but powerful, or large and high-speed, we have the right commercial microwave for you. The Merrychef Eikon E5 suits large, busy outlets, whilst the E3 serves smaller catering needs. All Merrychef commercial microwaves come with a three-year manufacturer’s warranty. 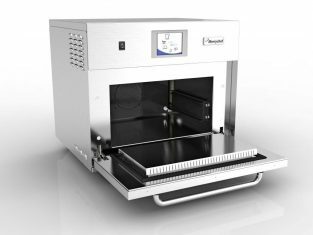 The combination ovens have a 12-month manufacturer’s warranty as standard. Next day delivery is also free (excluding weekends and bank holidays). If you require any help or have any additional questions about the Merrychef products and services we offer, please contact us.